For those seeking incredible sound from their vinyl LP music collection, Audio-Technica AT-ART1000 (�4450) is carefully hand crafted in Japan and uses a unique direct power system. Their special line contact diamond stylus gets deep into the LP's groove to bring forth even the smallest details. A non-magnetic core coil with 3 Ohm impedance is joined by lightweight solid boron cantilever for superior strength. Audio-Technica's AT-ART1000 has a titanium body that is expertly machined to provide solid, acoustic audio reproduction. Pictured above is an enlarged cut-out version that was seen during HIGH END 2018 in Munich. Having heard great things about Vision Ears, as reviewer it is my job to get the low-down on these, plus be fitted for a review pair too! Vision Ears' VE 8 (�2330) has a staggering eight drivers! 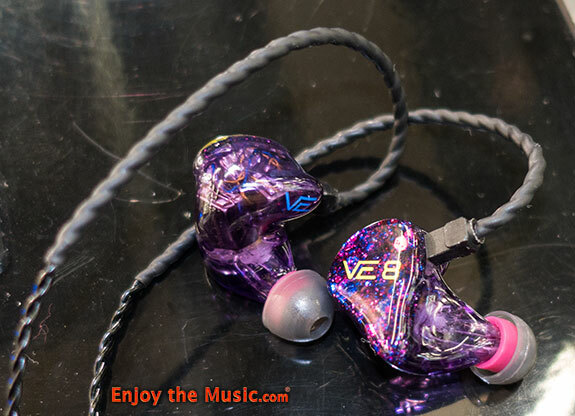 As the company's flagship for custom in-ear monitors (CIEM), the VE 8 offers extremely tight and precise bass, smooth imaging and sound, plus are very comfortable to wear. Careful attention has been paid to the specific drivers and crossover to ensure smooth sound from the highest of highs to the deepest bass. Their three-way-system with eight drivers per ear consists of two each Bass and Mid plus four High frequency units. Sensitivity is a high 120dB SPL at 1 mW and impedance is 22 Ohms. All Vision Ears models are produced under the same highest quality standards. There's an exchangeable cable with useful and comfortable earloop. 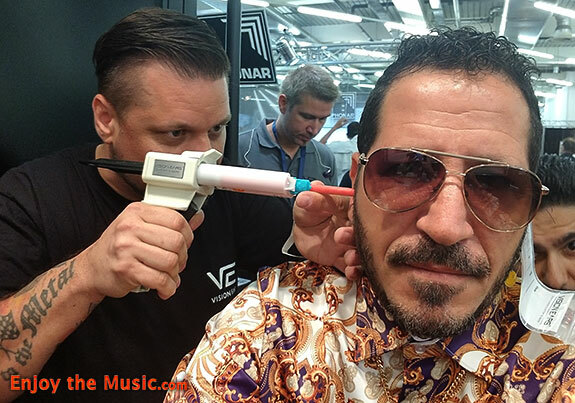 All In-ears are made of solid acrylic and are thoroughly lacquered by hand with biocompatible lacquer. Looking forward to my review pair! 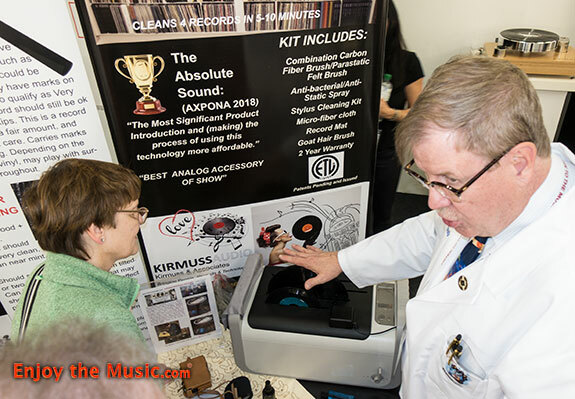 Charles of KirmussAudio was at HIGH END 2018 demonstrating his impressive ultrasonic cleaning system for vinyl LPs. KirmussAudio's Model KA-RC-1 ($799) removes dust particles and contaminants that can build up on your records. This includes cleaning when an LP is new to remove certain chemicals and to, of course, ensure the grooves are clean and pristine. The emergence of the dreaded audible pops and crackle sounds heard are usually caused by dirt, grime and particles lodged within the record grooves themselves. Therefore, many people recommend continual maintenance and care of your vinyl LP records by way of regular cleanings, which in turn reduces these unwanted pops and augments therefore one's listening pleasure and audition. 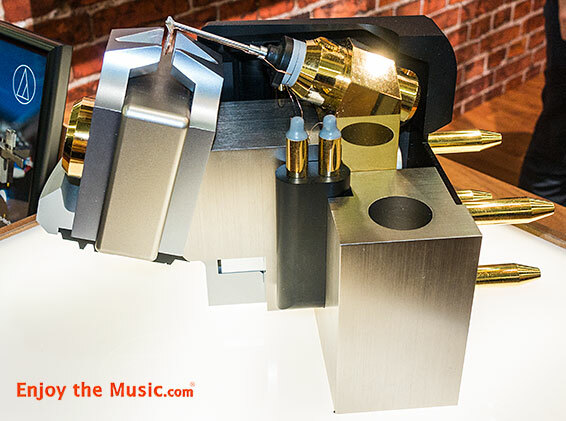 At $799 the KirmussAudio's Model KA-RC-1 vinyl LP cleaner is a clear winner! Do you want your listening room or recording studio to sound its best? If so, then you�ll probably want to have a proper acoustic analysis and solutions so you and your guests enjoy their time listening to music. 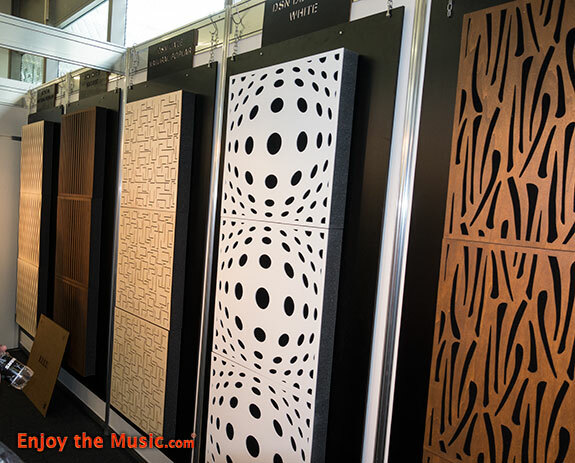 Sonitus Acoustics' panels come in a wide variety of shapes, styles, and custom colors of your choosing to ensure a perfect fitting within your home or recording studio decor. Both fiber panels and custom prints are available. 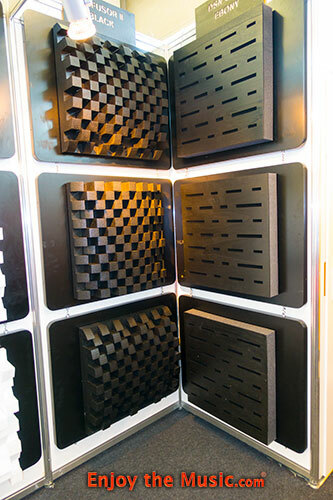 These covered panels are bright band absorber panels absorbing from mid to high frequencies. Classical design in a robust MDF frame, covered with soft fabric or with custom printed fabric, makes this panel suitable for all kind of rooms where neutral design is needed. Panels are delivered with mounting profiles for hanging on walls, but with four little screw hooks, you can easily mount it to ceiling as well. VC, incubators, millionaires and billionaires will like custom printed panel so whatever image or color combination you imagine is possible. Construction is the same as their Fiber panels, with robust MDF frame and mounting profiles included. The main difference is the cover. 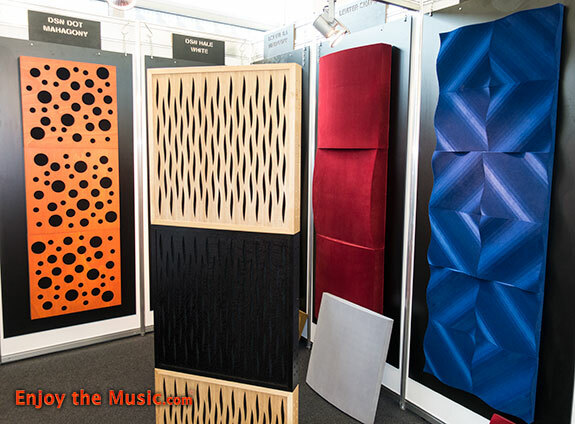 Sonitus Acoustics employs a special full acoustic transparent fabric which can be printed. All they need is your picture in good quality and they will do it for you. It is also possible to combine more panels to get one big picture; they just need to know the space between the panels and quantity of panels. ---> Onward to Part 9 of our HIGH END 2018 show report.